Knight Trade is a free puzzle app game that has just 10 levels. The object is to swap the black knights with the white knights. The first 2 are easy. After that, they get very hard. 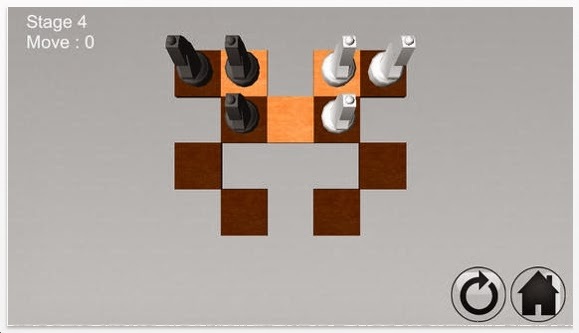 Years ago, at an IPP in Japan, I got one of these puzzles, but it was a Knight Trade puzzle in disguise. I really like the fact that there are only 10 levels. Perfect. However, the graphics are a bit gray/boring. 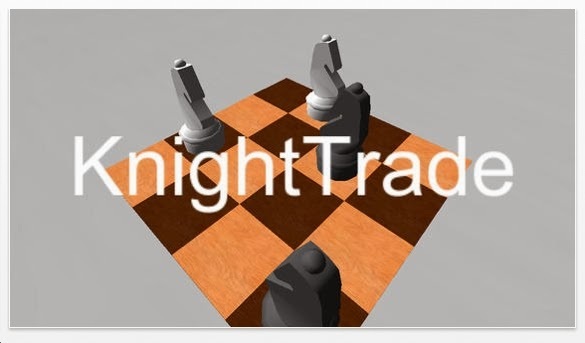 Nevertheless, Knight Trade is a fine chess puzzle app game.